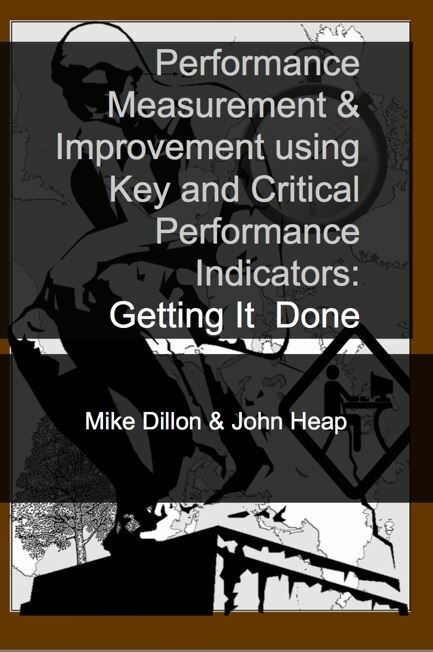 We measure so we know where we are, what we are doing well … and not so well. Once we understand, we can start to improve. What we measure is what is important; the things that drive our success. These important measures are our key performance indicators. Some of these are short-term and have to be measured regularly so that we can take corrective action before it is too late… before we ship sub-standard goods or incur additional costs. These short-term control factors relate to the figures the CEO wants on his/her desk every week or every morning – they are the critical performance indicators. 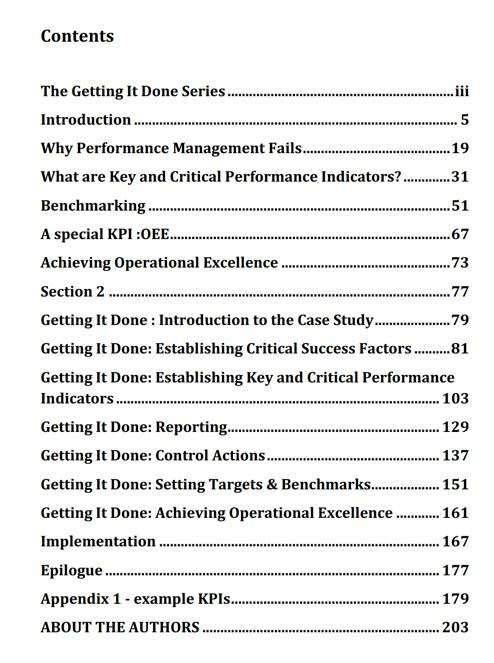 This book aims to be a practical guide to creating and using performance measures to control operations and drive improvement. It uses an on-going case study to make sure that the reader not only knows what is important but is capable of “Getting It Done”. Go direct to the book on Amazon.com or Amazon.co.uk.